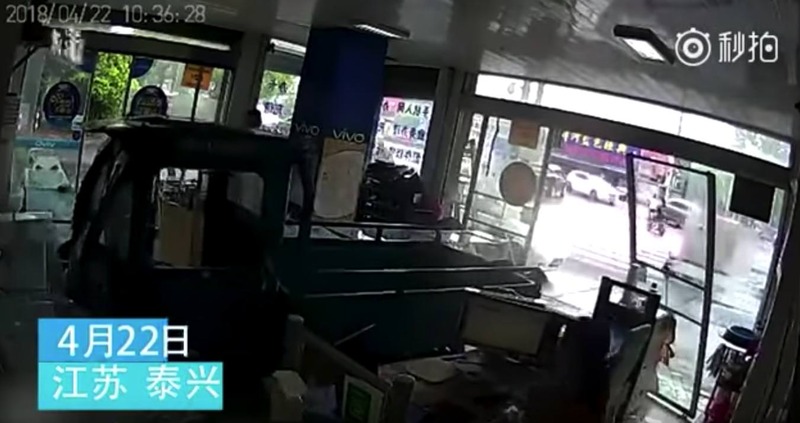 But it wasn't because of the damaged storefront. They were totally caught off guard to discover what - not who - was behind the wheel. 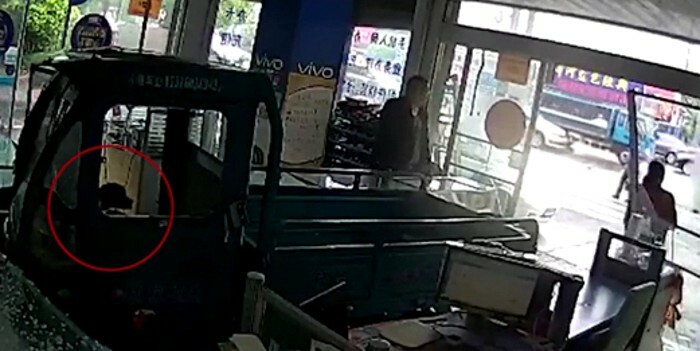 Daily Mail reported that the vehicle smashed through the front of a mobile phone shop in Jiangsu, Taixing, destroying the door and counter before coming to a halt. The driver's seat appears to be empty until we see a dog's head sheepishly pops up. Chinese news outlet Sina said the owner had also left his dog in the front seat before leaving the vehicle. In other peculiar news, this 12-year-old kid is going places. Literally.